Dried cane syrup, organic tapioca syrup, pectin, sodium citrate, natural grape flavor with other natural flavors, natural cherry flavor with other natural flavors, citric acid, fractionated coconut oil (non-hydrogenated), beeswax. 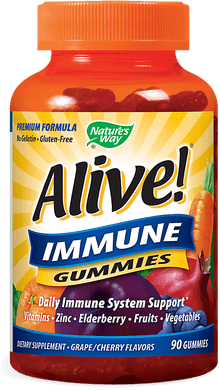 Adults and children12 years of age and older chew 3 gummies daily. Pectin Gummies. Sweetened with Tapioca & Dried Cane Syrups. Delicious Fruit Flavors. Other Ingredients: Dried Cane Syrup, Organic Tapioca Syrup, Pectin, Sodium Citrate, Natural Grape Flavor with Other Natural Flavors, Natural Cherry Flavor with Other Natural Flavors, Citric Acid, Fractionated Coconut Oil (non-hydrogenated), Beeswax. 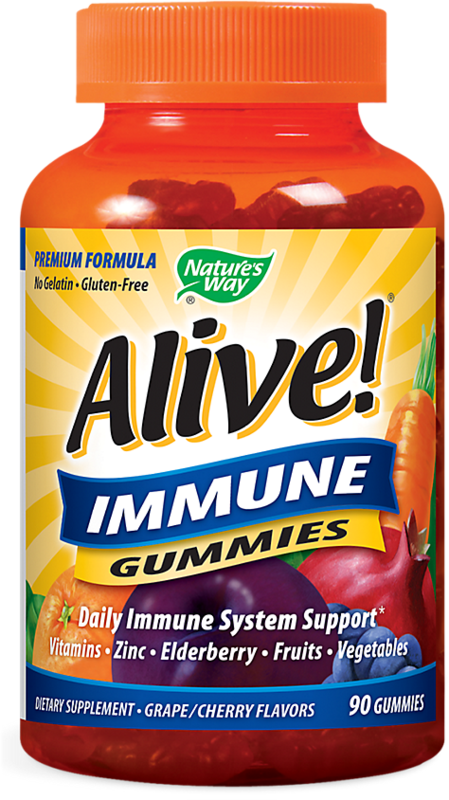 Adults and children 12 years of age and older, chew 3 gummies daily. Safety sealed for your protection. Do not use if safety seal under child resistant bottle cap is broken or missing. Store at room temperature. Keep bottle tightly closed. Avoid excessive heat and direct sunlight. Keep out of reach of children.